Alan focuses his practice on investment management and private wealth matters. Assisting one of the largest American banks in the tax-exempt organization portion of a community development project in Chicago involving complex matters. Advising a Fortune 500 bank holding company regarding trust and estate and litigation matters. In addition, Alan frequently presents on financial topics such as taxation, estate planning, business succession planning and probate and trust issues across the country. He has spoken before the Tennessee Bar Association, the Tennessee Society of CPAs, estate planning councils, and at estate planning and planned-giving seminars at the Georgia Institute of Technology, Texas A&M University and the University of New Haven. 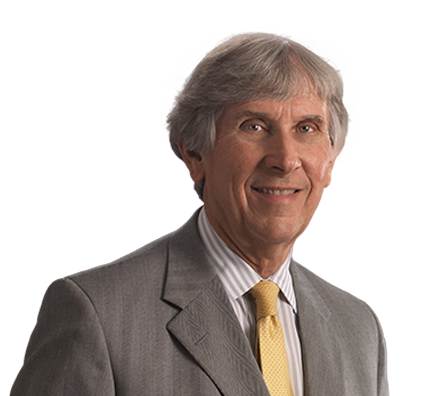 Alan is a member of the Tennessee Probate Study Committee, which reviews and comments on pending legislation in the areas of trusts, estates and similar issues. Before entering private practice in 1975, Alan served as the planned giving officer for the University of Tennessee. He also served on the faculty of the National Planned Giving Institute at the College of William & Mary for more than 25 years. Assisted one of the largest American banks in the tax-exempt organization portion of a community development project in Chicago involving complex matters. Advised a Fortune 500 bank holding company regarding trust and estate and litigation matters.